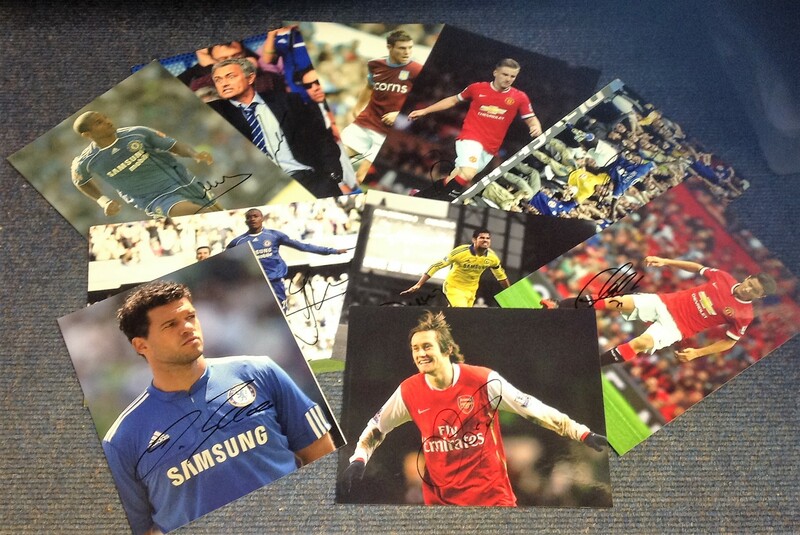 Football Premier League collection ten 12x8 signed colour photos from players past and present who have played in the premier league signatures include Emile Heskey, Diego Costa, Michael Ballach, Jose Mourinho, Luke Shaw, James Milner and Tomas Rosicky. Good Condition. All signed pieces come with a Certificate of Authenticity. We combine postage on multiple winning lots and can ship worldwide. UK postage from £3.99, EU from £5.99, Rest of World from £7.99.